Following on from the runaway success of Damon Gameau’s That Sugar Film and That Sugar Book, this is the book that brings the sugar-free message into the home and onto the family table. 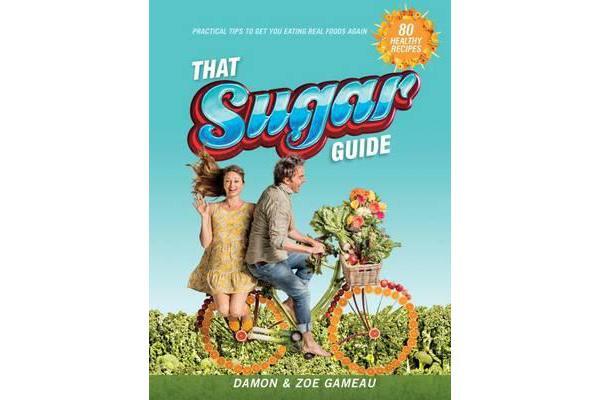 With 80 everyday low-sugar recipes by passionate home cook Zoe, That Sugar Guide will show you how to easily transition from sugary processed food to real food. The book is divided into two parts. The ‘Bridging Week’ offers accessible science and friendly advice on cutting back on the white stuff, plus recipes to help your body and palate adjust to a new, exciting and healthy way of living. The ‘Consolidation Phase’ is your manual for long-term healthy eating for you and your family. Fun, friendly and fact-filled, this is a book that teaches us to choose, cook, eat and love the sort of food that will nourish our bodies and sustain our health, not for weeks or months, but for life.